*The fetus measures nearly 5 inches (12cm) from head to buttocks. *The fetus weighs about 3.5 ounces (100 grams). *The fetus is covered with a protective soft down to regulate its temperature. *Fat begins to form underneath skin. *Baby hears external voices, sleeps and dreams. Your baby has learned to breathe. This is apparent from the regular movements of his chest, inhaling and exhaling small amounts of amniotic fluid. These actions help the lungs to develop and grow. More developed facial muscles may lead to various expressions, such as squinting and frowning. Your baby nows weighs more than their afterbirth. The baby can grasp with his hands, kick, or even somersault. You are showing more now and have an obvious swelling in your lower abdomen. The rest of your body is still changing. A total of 5 to 10 pound (2.25 to 4.5 kg) weight gain by this point in your pregnancy is normal. The crown to rump length of your baby is 4.4 to 4.8 inches (11 to 12 cm). Fetal weight has doubled in 2 weeks and is about 3.5 ounces (100g). Get ready for a growth spurt. In the next few weeks, your baby will double his weight and add inches to his length. Right now, he’s about the size of an avocado: 4 1/2 inches long (head to rump) and 3 1/2 ounces. His legs are much more developed, his head is more erect than it has been, and his eyes have moved closer to the front of his head. His ears are close to their final position, too. The patterning of his scalp has begun, though his locks aren’t recognizable yet. He’s even started growing toenails. And there’s a lot happening inside as well. For example, his heart is now pumping about 25 quarts of blood each day, and this amount will continue to increase as your baby continues to develop. Your baby now weighs in at a whopping three to five ounces, and he’s four to five inches in length. The bones that are now in place in his ears means he can probably hear your voice as you talk to your partner and pals and sing in the car. While he’s getting used to your voice, the tiny muscles in his body, especially the ones in his back, are gaining strength, so he can straighten out a little more. And thanks to his developing facial muscles, your baby is capable of making a few expressive frowns and squints, even at this early stage. (Don’t worry, those frowns have nothing to do with the sound of your voice!) And his eyes are finally working, making small side-to-side movements and perceiving light (although the eyelids are still sealed). Peekaboo! True or false: A fetal heart rate of fewer than 140 beats per minute means you’re having a boy, while a heart rate of more than 140 beats per minute means you’re having a girl. It’s a notion that’s been making the obstetrical rounds forever, and the truth is…it’s false. Sorry, but while it sounds more plausible (and more grounded in medical fact), this one is about as reliable as holding a ring on a string over your belly and determining the baby’s gender based on which way the ring turns. (If you buy that, there’s a bridge in Brooklyn I’d like to sell you.) There are as many old tales about ways to find out your baby’s gender as there are old wives to tell about them (and try them out at family gatherings). Sure, they’re fun to talk about, but all of them share just one truth: They’re correct in predicting gender 50 percent of the time. If you’d like better odds than that (the kind you can base your nursery-paint colors on), ask at your ultrasound. This week, your baby will start to blink. She’s growing quickly at the moment, and will double her weight in the next three weeks. Her bones are starting to ossify (harden), with the exception of her skull; these bones will stay softer until the birth, so they can flex as she passes down the birth canal. And she’s straightening out, too, lifting her head and neck into a more upright position. Your baby’s heart rate has slowed down since the start of pregnancy, but still beats 110 to 160 times a minute, twice as fast as yours. From 16 weeks, you’ll be able to hear the heartbeat via your doctor’s heart monitor, although it’s sometimes possible to hear it earlier. Her heart rate will increase when you laugh and decrease when you’re blue, proving that a happy mom makes for a happy baby. Any day now, you can expect to feel your baby moving for the first time. First-time moms-to-be generally feel the first kicks from around 16 weeks, but don’t panic if you can’t feel a thing. Some have to wait as long as 22 weeks. And don’t expect big hefty kicks at this stage. Early movements are very subtle, feeling like butterflies, bubbles or your stomach turning over. If you’ve decided to have the blood test to screen for chromosomal disorders like Down syndrome, it’ll probably be this week. This is also the prime time for amniocentesis, which may be recommended if you’re an older mom-to-be or if an earlier screening test indicated a high risk of abnormalities. After thinking about what colors to use on the pinata for the party all night, I decided to make tie dye tissue paper to use on it. Only problem was I had no clue how to make the tissue paper tie dye. So, I looked around online and finally find this website… Things-to-make-and-do.co.uk. I thought, ok that looks really simple, I will try that. First off, I could not get my paper to fold like that, so I just folded it how I wanted. I did the fan fold (not even at all) and then the triangles. Next came the dye. I used red, yellow, and blue food coloring, and dipped each corner into the dye. Then I unfolded. The first attempt is very pretty, but not what I wanted to use on the pinata. So I tried again with more food coloring. Then things got messy. It came to a point where I could not hold a dry corner, so I started to get food coloring on my hands. Now I have food dye on my finger and under my nails. But I also have some really pretty paper to use on the pinata. If anyone is reading this, and wants to try to make Tie Dye Tissue paper, I would recommend using GLOVES!! Pictures below are of the pinata and my tie-dye tissue paper. I am sorry to you smokers and drinkers that are coming to the gender reveal party, but there will be no smoking or drinking on the deck or near the pool. I am making signs to help you remember what areas are designated as smoking and alcohol areas. Please do not take this personally, I am just trying to keep the kids that are coming safe. The “big” ultrasound is on Tuesday, and I am so excited I can barley sleep or sit still. I want to see the baby so bad, and I asked Michael to get me an ultrasound machine for my birthday (LOL). He and I both just want to know that everything is going well with the baby, and also… KNOW THE GENDER of the baby. When I first got pregnant, I didn’t want to know the gender, and Michael said it didn’t really matter to him either. Time went on, and people kept telling me it would be easier for people to buy gifts. So, I decided to find out. And now that I have made that decision, I am so excited. 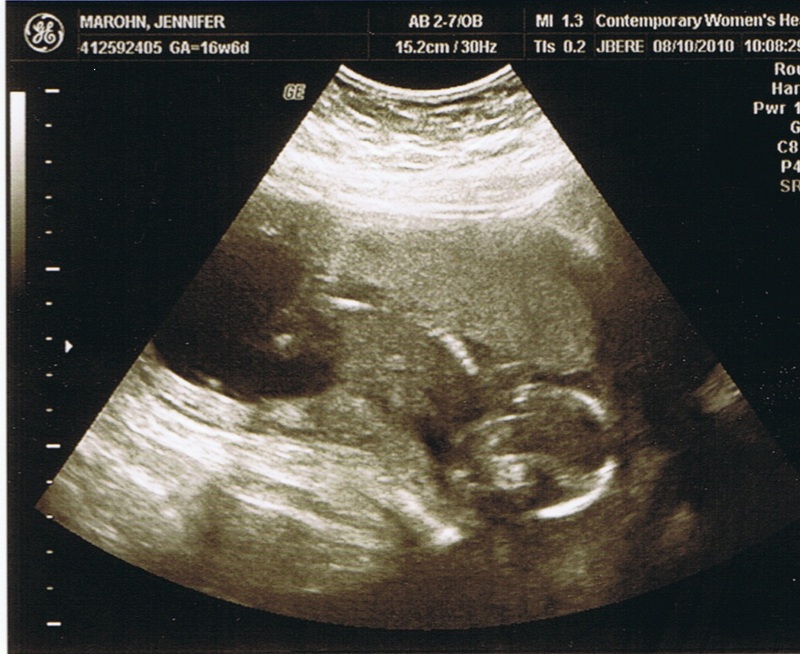 In fact, if anyone wants to take a look at the July 13th ultrasound and make a guess of what they think the baby’s gender is, that would be wonderful.